Grandmaster Pak, 9th Dan, began his study of Tang Soo Do at age 10, in Yong Mun, a small town in Kyung Ki province of South Korea. His instructor was Master Hon In Lee. He was awarded Cho Dan at age 13 and continued his study there until 1977. 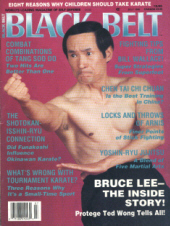 From 1977 to 1979, Grand Master Pak served in the Korean Army and taught combat and self-defense skills to his fellow servicemen. Following his discharge from the military, he was employed as an instructor of Tang Soo Do at the American Air Force Base in Kun San province, Jun Ra Buk Do, South Korea. There he taught those same techniques to U.S. Military Personnel until 1982. In 1981 he won the prestigious Korean body-building contest being nominated Mr. Kun San. In 1982, he was chosen as a member of the Korean Olympic Tang Soo Do team and traveled to the International Tang Soo Do Championship in Atlantic City, New Jersey, contributing to the team's victory. At this time, he decided to make the United States his permanent residence and moved to southern California. 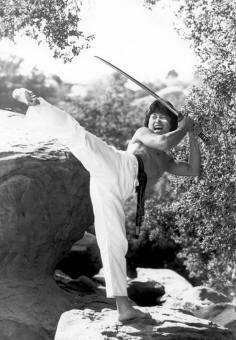 In addition to his teaching responsibilities, he has been featured in many martial arts motion pictures, including as Big Trouble in Little China, Best of the Best, Mortal Kombat and Hunt to Kill. 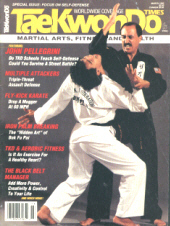 In 2003 he was listed in the Kington's National Register of Who's Who for his martial arts expertise and his outstanding achievements nationally and in the community. 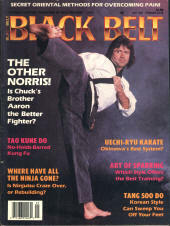 In the same year, he was awarded his 8th Dan at the Battle of LA in Woodland Hills, CA, an annual event that he hosts. In 2004, he also received a letter of recognition for this event by Governor Arnold Schwarzenegger. 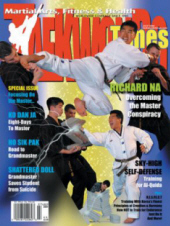 He has produced a full line of instructional videos and authored "Complete Tang Soo Do Manual - Volume 1 (2002) and Volume 2 (2005). 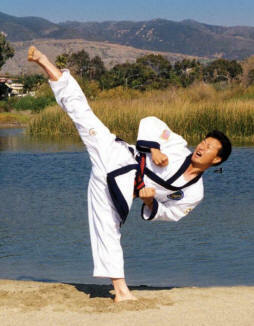 He was a member of the U.S. Tang Soo Do (Soo Bahk Do) Federation from 1982 to 1994. In 1994 he founded his organization, the Hwa Rang World Tang Soo Do Federation.